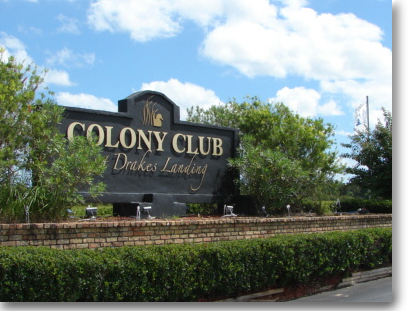 Gulf Shores condos for sale in Colony Club offer a number of amenities in an upscale complex. Less than one mile from the famous Craft Farms Golf Course and less than five miles from the Gulf Shores public beach access, these condos have one-, two-, and three-bedroom floor plans with 780 to 1,280 square feet of living space. Units have private balconies and fireplaces and they are wired for security systems if you choose to invest in one. There is an outdoor pool and clubhouse near the entrance and lighted tennis courts and a community green area with a pond in the southern portion of the complex. Additionally, there is a fitness center, grilling and picnic area, and onsite property management. These condos are a perfect choice for those who want to enjoy all that Gulf Shores has to offer combined with a sense of privacy that's not available in the more tourist-heavy parts of town. To see more condos for sale in Gulf Shores, check out our Gulf Shores condos for sale page. For more information on Colony Club or other Gulf Coast real estate please email us at info@condoinvestment.com.